- Ensure admintration tasks and translation/interpretion tasks well. - Accurately translate verbally at official meetings, working sessions. - Interpret during meetings, workshops and field visits as required. - Co-ordinate with related departments (Sales support team, Accounting,…). - College-Bachelor Degree, major in Korean Language. - At least two (02) years of working experience in translation/interpretion. - Experience in import-export, sales, human resource (based on which you have a good understanding on provided these services and Korean terminology) is an advantage. ► Opportunities to build up your profile and network. ► Smart and inspiring teams you work with and across the business. If you would like to work in an exciting role with opportunities for advancement, including overseas assignments and secondments, please send your CV in English with a cover letter expressing how you match this position to us. 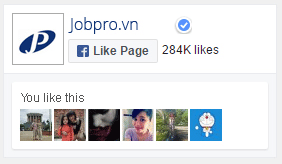 Thank you for your interest in career opportunities in BFN Vietnam. Chuyên ngành: Biên phiên dịch,Giáo dục·Đào tạo,Kinh doanh thương mại,Thư ký·Hành chính. Điều kiện ưu tiên: Du học nước ngoài. Điều kiện ưu đãi: Ăn trưa,Bảo hiểm,Khám sức khỏe,Phí điện thoại.